On 14, March 2013, Samsung unveiled and officially announced its next generation Galaxy Smartphone flagship series called Samsung I9500 Galaxy S4 in New York City, USA for general public worldwide. The previously released Samsung Galaxy S3 was also a successor for Samsung Mobile Company which had broken all the records of selling in every part of the world. The Samsung Galaxy S IV Smartphone software is powered by newly introduced Android Jelly Bean v4.2.2 mobile operating system and Samsung Galaxy S IV Smartphone hardware is based on Quad-core 1.6 GHz Cortex-A15 & Quad-core 1.2 GHz Cortex-A7 processors with 2 GB RAM and 1080p 5-inch Display Screen. The tech-experts are expecting that Samsung I9500 Galaxy IV will surely going to set new records of selling and will beat-out its competitors in smartphone market like Apple iPhone 5, HTC One and Sony Xperia Z. So in this post we are sharing the all new Samsung I9500 Galaxy S4 Smartphone Review, Specifications, Features, Price, Availability, Software & Hardware Details with Video Reviews and Official Images below. Following are the full specifications, features, software and hardware details of Samsung I9500 Galaxy S4 Smartphone. 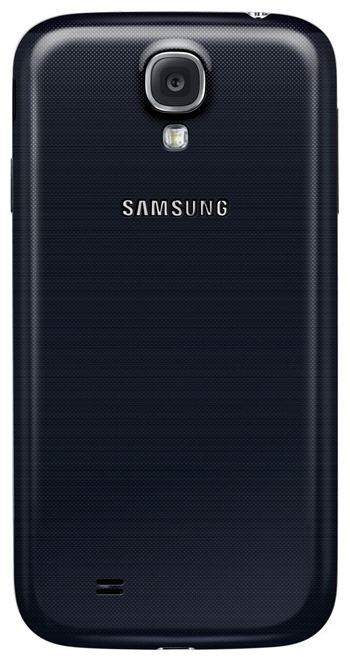 Following are the official images and screenshots of Samsung I9500 Galaxy S4 Smartphone with Back/Front Shape and Design Look. Following is the Video Review of Samsung I9500 Galaxy S4 Smartphone with First Hands-On Overview. According to sources the all new Samsung I9500 Galaxy S4 Smartphone will be officially released worldwide with 327 carriers in 155 countries and the Release Date of Samsung I9500 Galaxy S4 Smartphone is April 26, 2013. 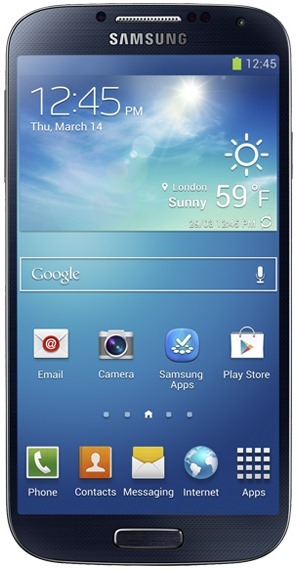 The Official Price of Samsung I9500 Galaxy S4 Smartphone is expected to be about £500+ EUR in Europe and $725+ USD in U.S.A. and $695+ AUD in Australia (SIM-Free). 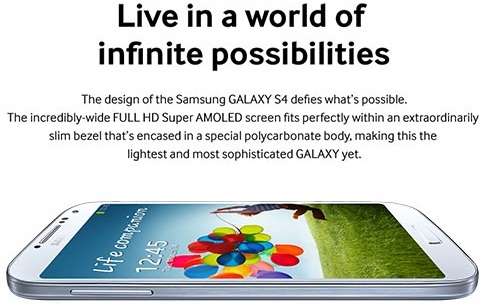 Although the price is not confirmed yet and its expected to be changed when Galaxy S IV will be released.